In case you haven’t heard, I’m working on a few different projects- there’s my top-secret fantasy novel that I wrote a long time ago and need to get to work editing- there’s my slightly less secret adaptation of a classic fairy tale that my illustrator’s hard at work editing, and there’s the “next” book in the Me Squared series that takes place from another character’s perspective. That said, I’m planning on working on something that I can (hopefully) publish early in 2015. I have quite a few short stories under my belt already, and some of them have the potential to be turned into books. It’s not unusual for writers to turn stories into books- after all, Ender’s Game started life as a short story, and look at how well that turned out. I’ve done some thinking, and I’ve decided to consider two stories for proper book adaptations: White Bat, and The Winds from Above the Portal. The first story, White Bat, was written for Pocket Sized Yarns, and is very short (under 540 words!). If you’d like to read it, click here to get yourself a copy of Pocket Sized Yarns for free. I can’t say too much about the story due to spoilers, so you’ll have to read it- but I can say that it’s a story of a family in a war- I can say no more. Just read the story- it’s super short. 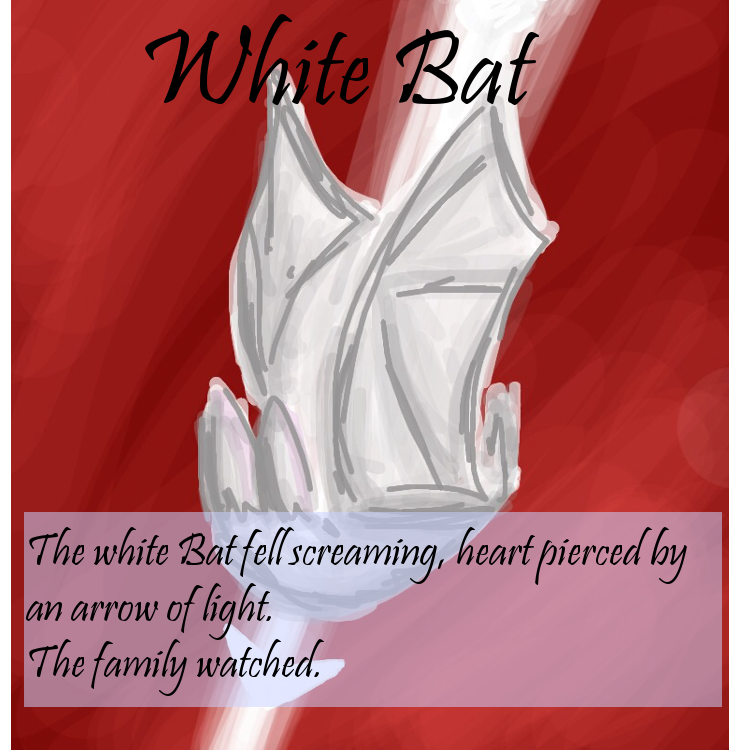 Also, I’d like to thank Redditor /u/sonofableebblob for his fantastic illustration of the opening sentence of White Bat. 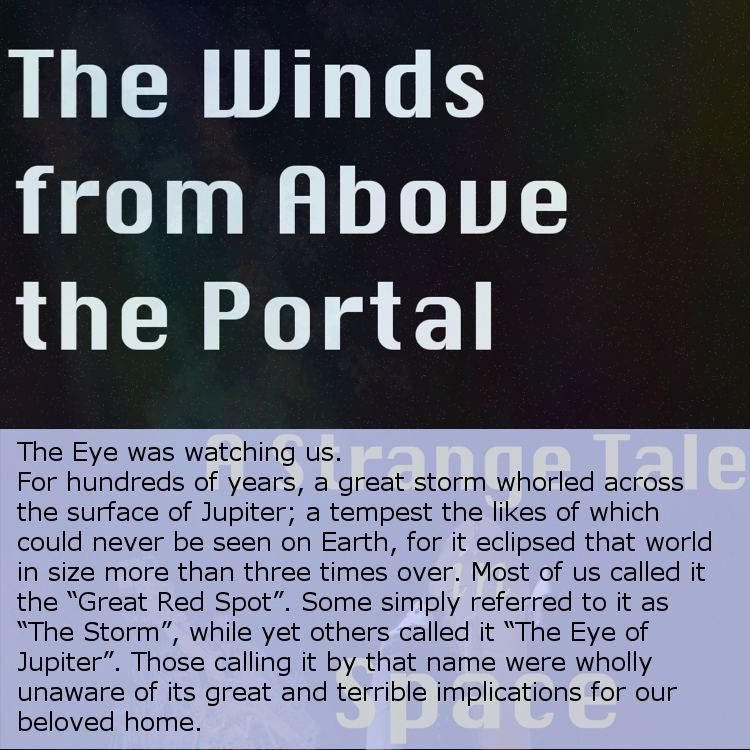 The second story is The Winds from Above the Portal– it’s the story of a girl and her father who take a spaceship ride to Jupiter in order to explore an anomaly that’s broken out above the planet. Nobody’s really sure what it is- but it seems to emit some sort of wonderful beauty that people can’t resist. This story draws some inspiration from the Space Odyssey series as well as Sagan’s Contact which, for great shame, I’ve not yet read- I’ve only seen the film. You can read Winds here– I’ve made it available for free. It’s a novelette already- expanding it would be significantly easier than White Bat, which would probably go from short story to novelette (as opposed to from novelette to novella). White Bat, however, seems to have the potential to be turned into a short series of novelettes- while I think Winds is better suited to being a one-shot. So, what’s a writer to do? Right now, I’m plotting out what the expanded stories of White Bat and Winds would look like- and I’d like your feedback. What would you prefer to see out first? Sound off in the comments, comment on Instagram, tweet at me, say something on my Facebook page– whatever you prefer, just let me know! I’m considering everybody’s opinions.